I first met Dean Potter while hurtling through the sky at 500 miles per hour buckled into seats of a Boeing 737, flying south to Argentina. As I gazed out of the jet's window at the hazy, green, windswept plains above Rio Gallegos, I wondered if Dean was as nervous as I was. 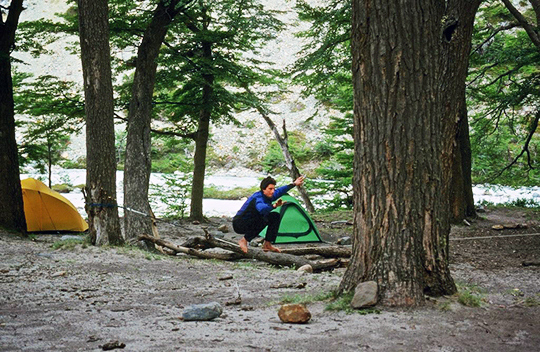 It was 1999, and this was our first climbing trip to Patagonia. His dark, unkempt hair hid his eyes, and his jaw betrayed no emotion. But as the plane's wheels screeched along the tarmac, he looked over at me with concern and asked, "How do you say 'bathroom' in Spanish?" Fortunately for us, our associated climbing partners—Steph Davis for Dean and John Brewer for me—had been to Patagonia before. They knew their way around, and they knew Spanish. We boarded a bus and followed a rough gravel highway as it cut west through the barren topography. Hours later, when the bus crested a small rise, I imagined being perched on the towers as Cerro Torre and the Fitz Roy massifs erupted out of the flat pampas. 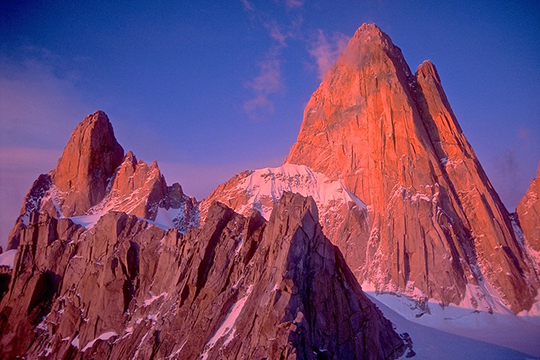 The orange granite peaks looked like lava that had been frozen into vertical towers by the glaciers at their bases. At the end of the trip, I sat empty-handed in a damp meadow along Rio Blanco. Dean said to me: "Don't worry, Dave, it will always be there." 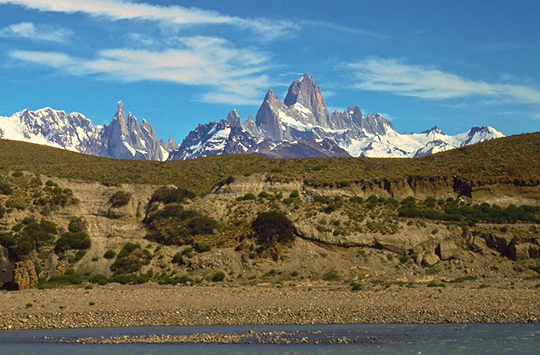 Overhead, the wind raked plumes of white clouds across the summits of Fitz Roy Massif. I never went back, but Dean did. Dean's intensity was well known to the climbing world. He raced up the Nose on El Cap, slacklined without a tether across vast, high spans and free-based (free soloing with a parachute back-up) the north face of the Eiger. On our first trip to Patagonia, Dean was already an accomplished rock climber. But he had limited experience with snow and ice. I remember him staring intently at a candy bar I was holding as I bent it back and forth to demonstrate how crevasses are created. After picking up provisions from the town of El Chalten and arriving at the base of Fitz Roy in poor weather, I found him shoveling windblown snow from his bivy cave's entrance. When I asked about a fresh cut on the back of his hand, he just pointed at the twenty-plus granite towers surrounding Paso Superior; the pinnacles ranged in height from 30 to over 200 feet. Dean's pent-up climbing angst had led him to solo all of them. "I just had to," he confessed. The last time I talked with him, the conversation turned to the death of my climbing partner Pete Absolon. A tourist had thrown a rock the size of a toaster off the top of a cliff at Leg Lake Cirque, in the Wind River Range, Wyoming, not realizing someone might be climbing below. Pete died instantly, leaving a seven-year-old girl without a father, a wife without a husband and an open hole in hearts of all who knew him. Most people I talked with about the accident stared at their feet in silence or mumbled a few words of condolence. Dean squared up and looked me hard in the eye, as if he were going to fight the ephemeral ghosts of pain and anguish circling me. Then his face softened and he said, "I know Pete misses you, too."